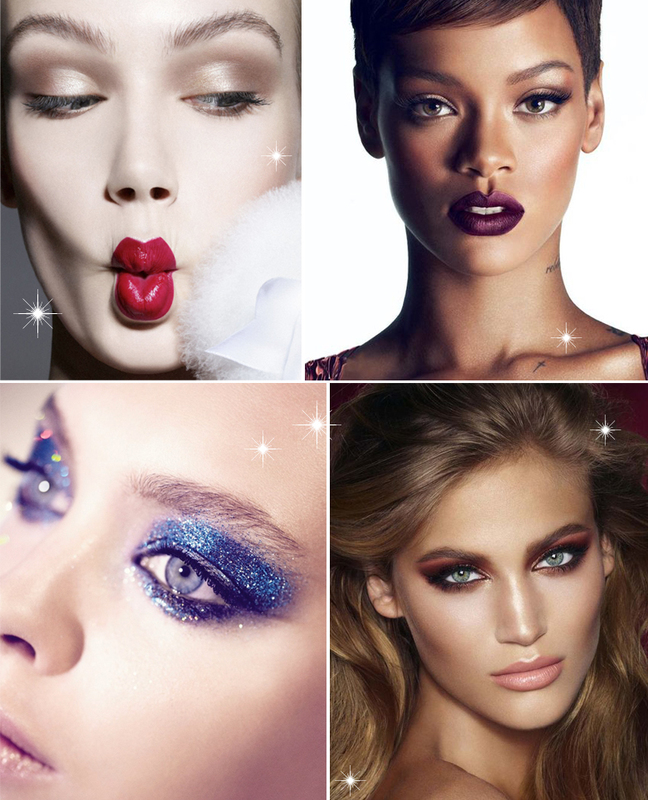 Well, it’s only 6 weeks to Christmas so I thought I’d share a few makeup looks I love that would be perfect for the festive party season. If there was ever an occasion to really go to town with your makeup and try those looks you might have been a little afraid to try, Christmas is the time. Don’t be afraid to play with colour and if like me you’re a bit of a magpie and love your glitter and sparkle then you have to add a little shimmer to your look whether it’s in the form of eyeshadow, highlighters or glossy pout… just have some fun with it! Be careful though, Halloween is over, so we don’t want to look like the 5th member of Abba but the 4 looks below show you how you can have some fun but still look gorgeously glamorous. I’m now taking bookings for party makeup so if you’d like to sit back and relax while someone else does the work, including some false lashes to give your eye’s a real pop then I’d be delighted to hear from you! Just drop me an email on clare@clarehogan.ie.